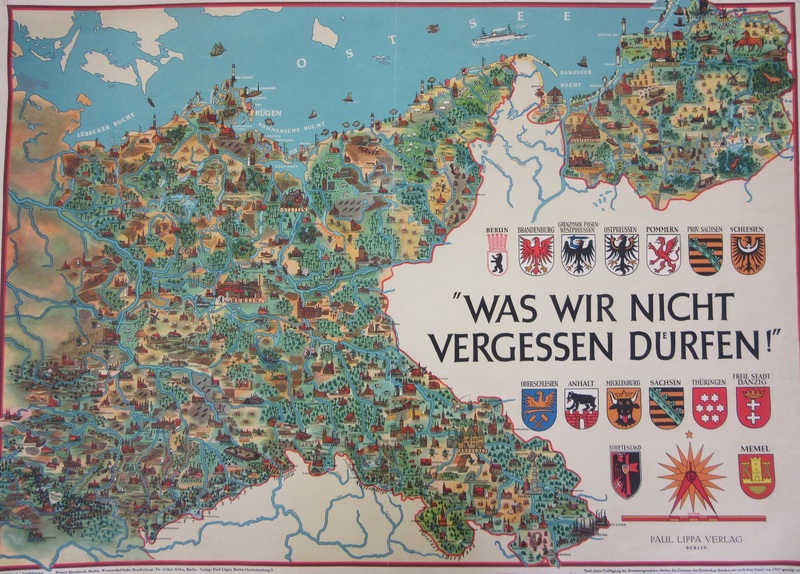 Old maps of countries are often the cause of wistful thinking, it’s rare though that a map is produced for that very reason, as is the case with this map of pre-Second World War Eastern Germany. At the end of the war large numbers of German nationals were stranded in lands which were in the control of the Soviet Union or would become part of an enlarged Poland. 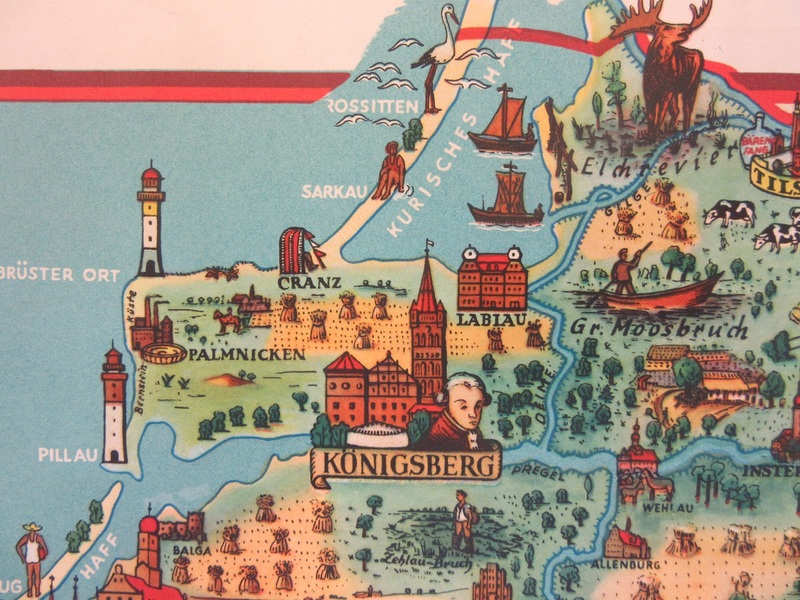 They either fled or were expelled from these areas and found their way to West Germany. These 10 million exiles – Vertriebene or expellees – formed into political groups. They tried to claim compensation for lost property and kept the hopes of a reunified Germany alive, based on pre-war borders and including East Prussia. This map, whose title can be translated as ‘Something we should not forget’, was probably produced in support of these people. It was published in Berlin in 1957. Few countries have had their borders changed by war as Germany. Originally a group of separate states the country unified after the Franco-Prussian War in 1870 and then lost territory after the First and Second World Wars. Land lost at the end of the Second World War is the reason for the map of remembrance featured here. 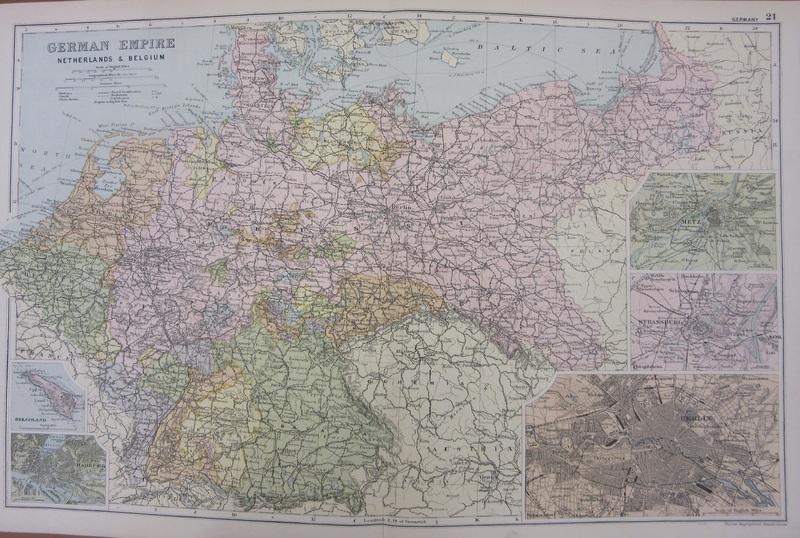 This page from Bacon’s popular atlas shows Germany at its height, between the end of the Franco-Prussian war and the start of the First World War. 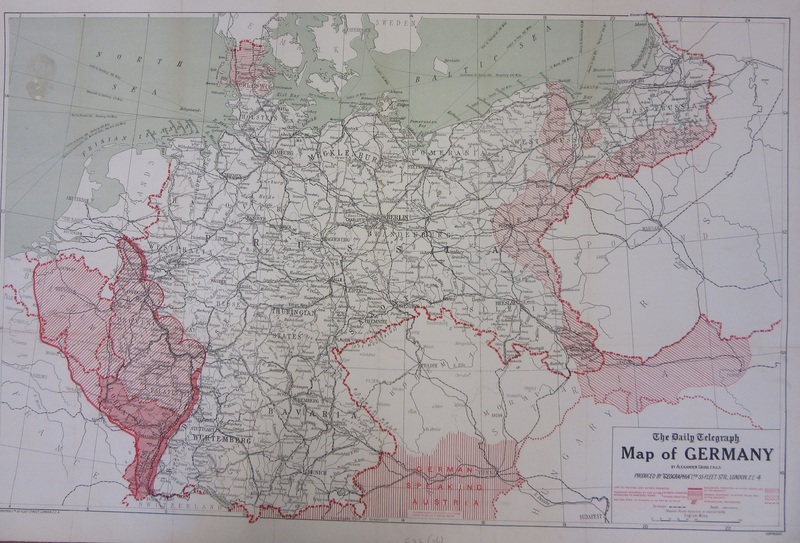 The map above, published in Berlin with the proposed changes from the Treaty of Versailles, has used an earlier pre-war railway map of Germany to show the changes to German territories from the Treaty of Versailles. Overprinting on existing maps is a common practice, saving on costs and, more importantly considering the dramatic changes taking place, time. The red area to the East would become the Polish corridor giving a previously land-locked country access to the sea. 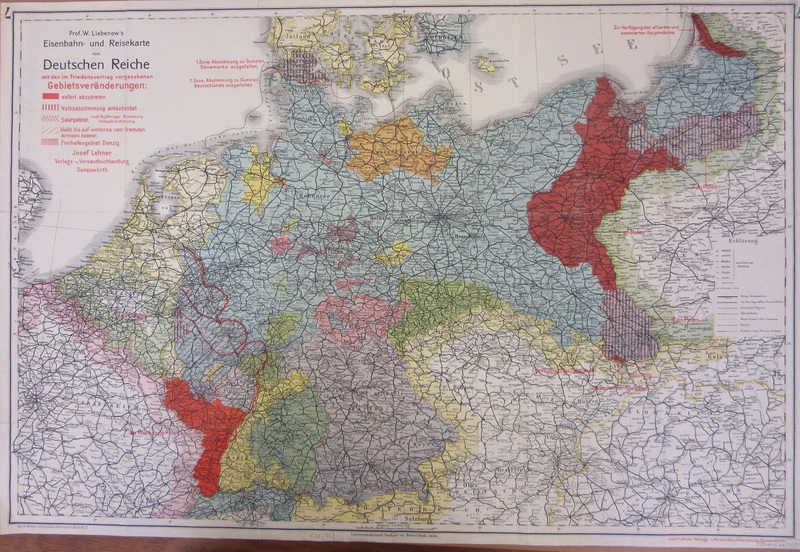 This map is an English version of the Deutschen Reiche map above. While similar In some aspects one important feature here is highlighting land where different nationals are prominent. Shading shows that the land that would become the Polish Corridor had a majority of Poles. 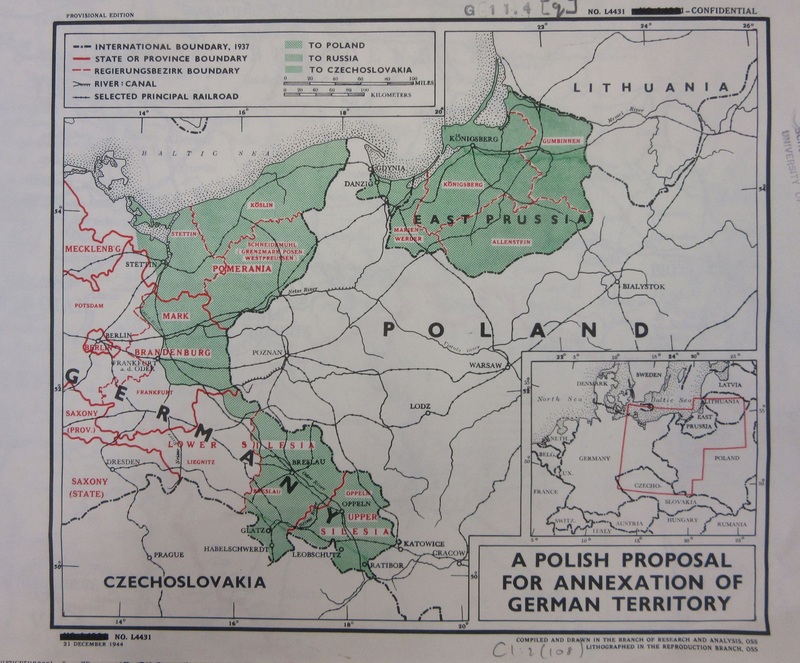 This map of the possible annexation of East German lands is published by the Office of Strategic Services, the Intelligence Department for the United States towards the end of the Second World War. The agency would evolve into the C.I.A. The first map shown here is also an interesting example of a pictorial map. Pictorial maps ignore all but the most basic topographic detail but are richly decorated with pictures relating to the area shown. As there would be little need to produce a practical map of an area which was off-limits this portrayal of land, industry and attractions further emphasises the purpose of the map. This entry was posted in History on 24 November 2017 by stuart. Alaska in the 1720’s, with the Dane Vitus Bering the first to travel through the strait that now bears his name. This inevitably led to fur traders moving in and setting up posts, gradually spreading out into the hinterland meeting up with traders coming from the Canadian side in the next century. Never profitable, Russia sold Alaska to the United States in 1867 for $7.2 million. But there is a lot more to the map than the Alaska question. 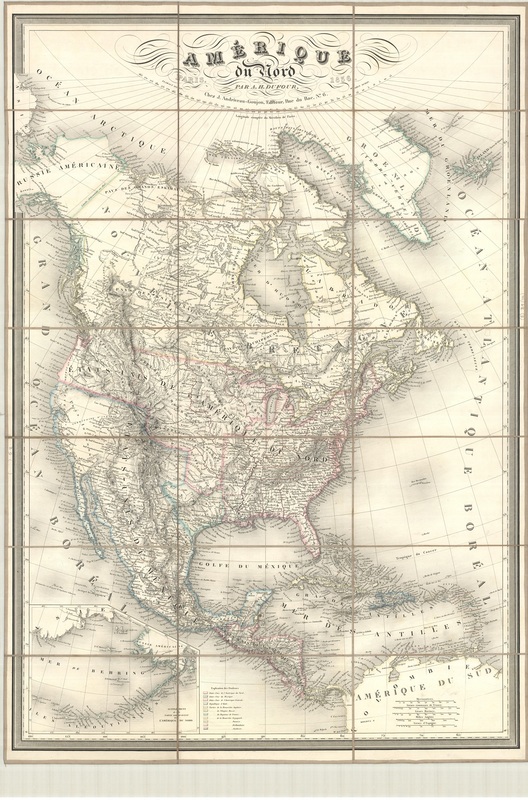 The map was published at a time of major changes in the way that North America was beginning to develop into the countries and states we recognize today. In 1836 Canada relates to a small part of the country around the St Lawrence River north of the Great Lakes while the rest of this now vast country is left to Native Americans and traders. Mexico extends far up the west coast to the Oregon border, while Texas is shown as an independent state, not yet part of the United States but no longer part of Mexico after defeating the Mexican Army in 1835. The importance of trade in the opening up of the west is best shown with the settlement of Astoria. 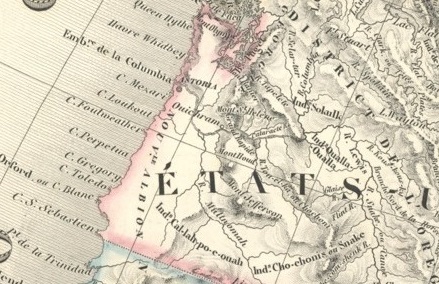 Lewis and Clark’s Government-sponsored exploration to open up the West between 1805-06 had lead to further expansion, John Jacob Astor and his Pacific Fur Company being amongst the first to found a settlement, Astoria, on the banks of the Columbia River. 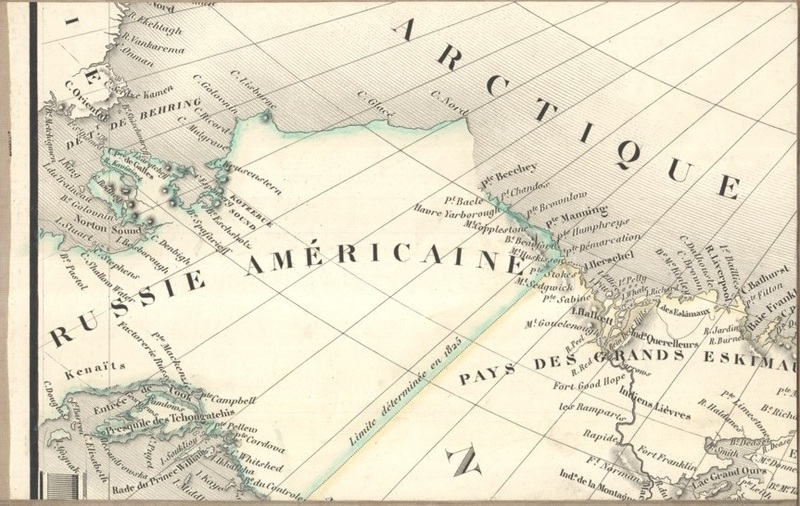 Exploration beyond the Arctic Circle was focused at the time of the map publication in finding the Northwest Passage. British explorers had first started the search for a link between the Atlantic and Pacific oceans as early as 1576, but it wasn’t until the great naval voyages of Franklin and Ross in the early 1800’s that real progress was made, despite the harsh conditions and sea-ice. Franklin went on a number of expeditions from 1819 leading to the last final expedition in 1845 which ended in tragedy with the loss of all who took part. This entry was posted in Exploration on 10 November 2017 by stuart. Maps for events taking place of the 3rd of November, with forty-one years separating the two. 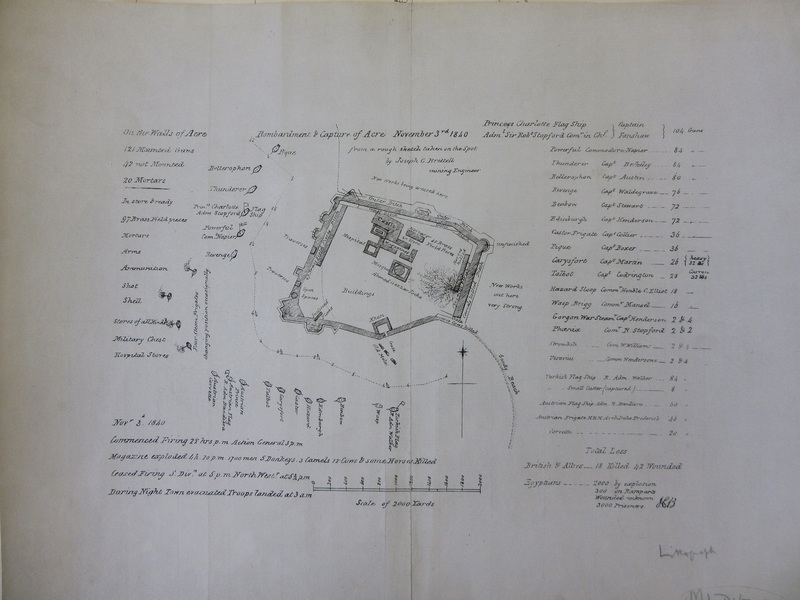 The first is a simple plan of a dramatic day’s action, ‘Bombardment & capture of Acre, November the 3rd 1840′. The map shows both the layout of the citadel of Acre, now a coastal town on the Mediterranean in Israel but at the time part of the Ottoman Empire, and the ships of the British, Turkish and Austrian navies who bombarded the Egyptian forces that had taken control of the Citadel as part of a campaign to gain control of Ottoman territory. Despite its small size the map is full of detail, giving not just a list of ships with captains and guns but precise timings for the start and end of bombardment and the amount of casualties both sides suffered, the British and Allies with 18 killed and 42 wounded while the Egyptians lost a staggering 2300 killed and 3000 captured. The large number of casualties resulted from a direct hit to the Citadel magazine, dramatically depicted on the map, which tells us that the explosion killed not only ‘1700 men but also 5 donkeys, 3 camels, 12 cows and some horses’. 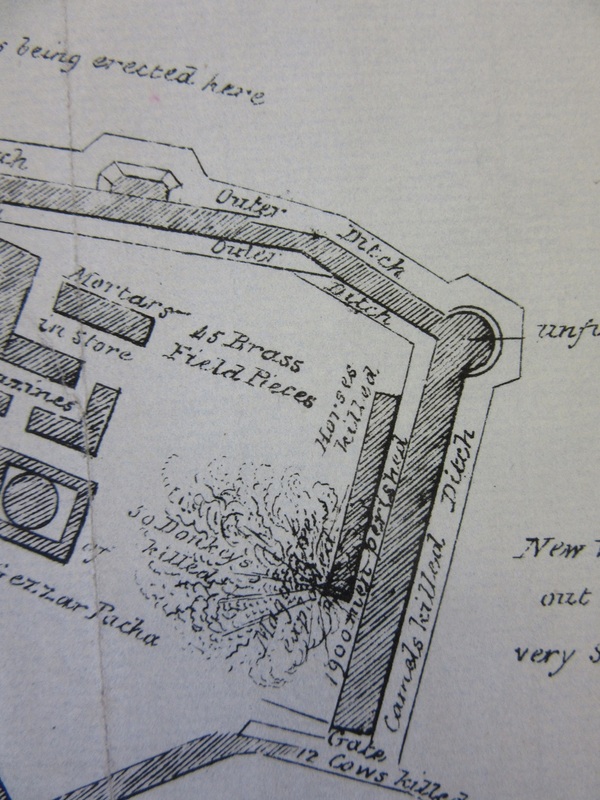 Extract from Acre plan showing magazine exploding. Note different amount of unfortunate donkeys. 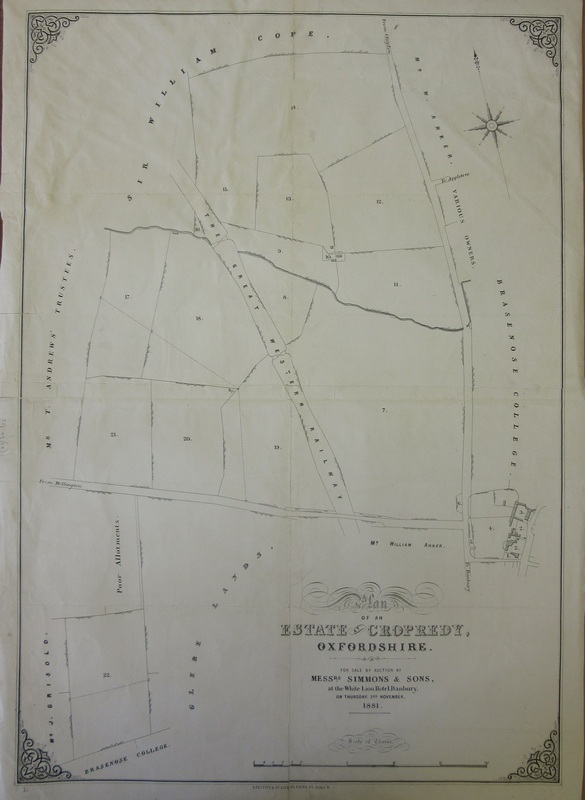 In contrast to brutalities of war this second map is from a sales catalogue for the auction of farm land near Cropredy in north Oxfordshire, on the 3rd of November 1881. Like the Acre map it focuses on a small area to the exclusion of any surrounding countryside, but while the Acre map is one of death and destruction the listing of plots and fields, along with decorative corners is a picturesque representation of the English countryside in map form. A large number of auction catalogues for land feature maps such as this example. 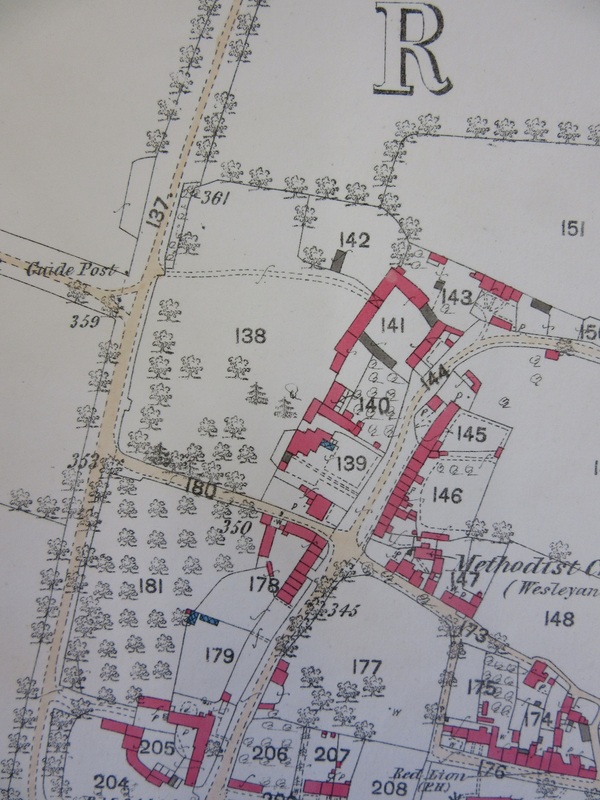 This extract is from the first edition of the Ordnance Survey 1:2,500 map of the area. Plots 139, 140 and 141 correspond to lots 1, 2 and 3 on the auction map. The map dates from 1882. This entry was posted in History, Military on 3 November 2017 by stuart.